Following almost 4 years of upgrading and expanding the Entebbe International Airport which is the main entry point to Uganda by a range of travelers including those in safaris to Uganda, the Airport’s main Authority – Civil Aviation Authority is making a progress. The Authority on Friday last week demonstrated the interest in recruiting an expert consultant who would undertake the supervising and designing the expansion and upgrading of Entebbe Airport that last had uplift prior to the Common Wealth Head of Government Summit in 2007. The interest expression request made by Civil Aviation Authority depicted that they had secured necessary funding for the consultant to undertake the construction role. The objective of the ring the consultant is to provide sufficient engineering services in all fields according to the civil engineering standards practice. The Civil Aviation Authority earlier in January this year unveiled its master plan that indicated the upgrading of the International Airport of Entebbe in three (3) consecutive phases between 2016 and the year 2033. The apparent phase is aimed at constructing a new passenger terminal complex to handle the ever rising passengers among which include travelers on safaris in Uganda and the phase also include a new terminal for Cargo. The to be hired consultant is meant to also oversee the two runway strengthening, aprons rehabilitation and installing a new fire water system among other aspects. 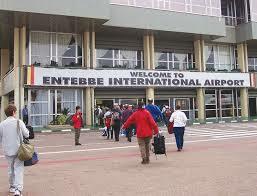 The Entebbe International Airport up grading is expected to start in the financial year 2015/16 and the consultant will be accorded three (3) years to finish the work. The to be hired consultant is required to have completed a related project with $200m value in the last eight (8) months. This is seen as a positive move to the refurbishment of the critical national infrastructure that forms a strong ground for national development and destination image. Once completed, Uganda would have a basis for attracting a range of world travelers to undertake Uganda safaris and tours.